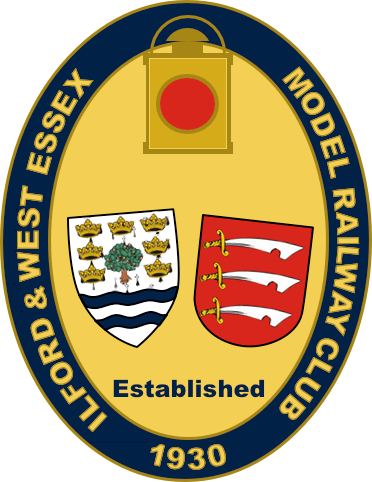 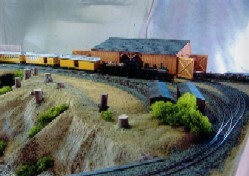 The HT & CWR is to be found in the mountain wonderland of the San Juan country of south western Colorado, and is a branch of the Denver and Rio Grande Western Railroad. 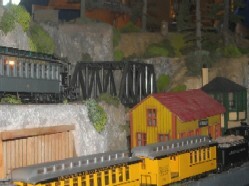 The lower level starts at Durango before reaching Hermosa, where it starts to climb up the Animas Canyon to Cascade at the top. 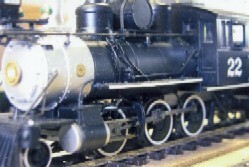 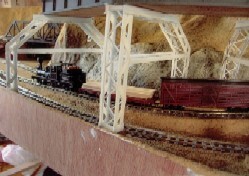 The railroad feeds both passenger and logging trafic at the Rockwood Timber Company and camp. 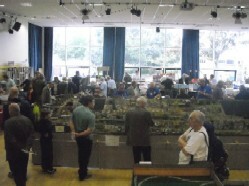 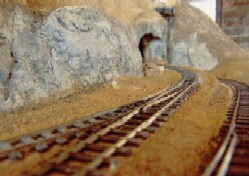 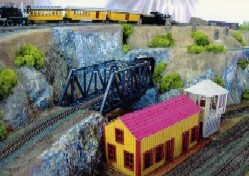 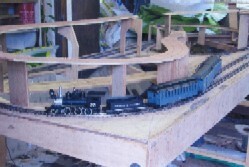 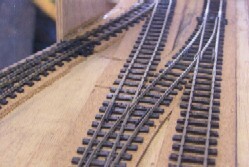 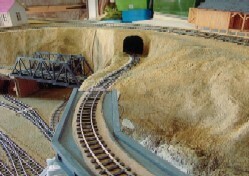 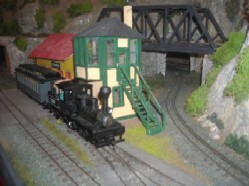 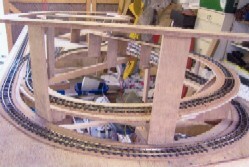 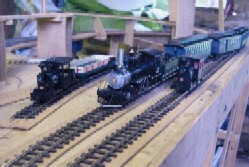 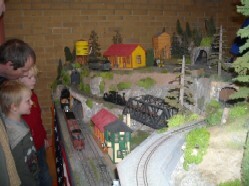 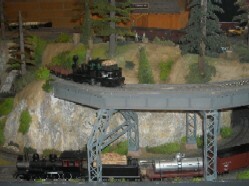 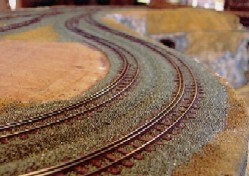 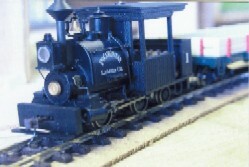 Photos of the layout by Fred Gillin under construction at home.